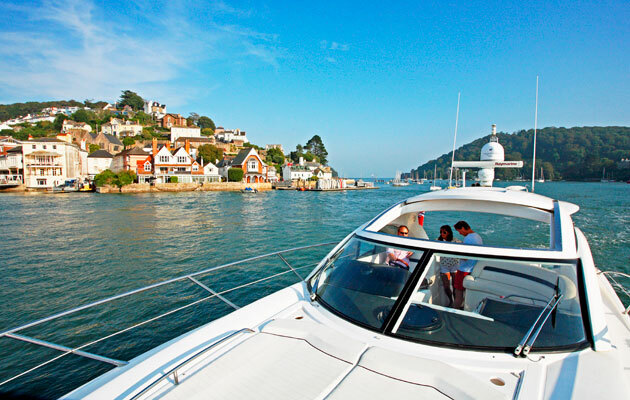 You are here:Home » Posts tagged "ultimate guide to cruising the West Country"
Motorboat & Yachting: The West Country is packed with enticing boating spots and hidden gems. In this feature Peter Cumberlidge picks the best bits of Devon and Cornwall. Living in the West Country, I can honestly say that the south coasts of Devon and Cornwall have always provided our most magical summer cruises. The fabulous estuaries and colourful harbours are discreetly served by well-spaced marinas from where you can explore paradise anchorages and secluded beaches only accessible by sea. The pilotage is straightforward, tides are moderate and you can reach these perfect cruising grounds in easy coastal hops. The pace of living is languid down here and you can potter as the mood takes you. West Country rivers are ideal for this, soothingly laid back but with constant activity to entertain. Anchored in the Dart, the Salcombe estuary or River Fal, you need hardly move from your flybridge or cockpit except to rustle up lunch and open the wine. Youngsters can be let loose in the dinghy and the long summer days have a nostalgic quality simply made for messing about in boats.